Last week saw Years & Years play their biggest headline show to date at Birmingham’s Barclaycard Arena. Olly, Emre and Mikey end their run of UK shows at Wembley Arena, playing to over 12,000 fans – over 10,000 more than fit into the intimate setting of Shepherd's Bush where the Polydor band started their whirlwind 12 months. There’s little downtime after Friday as the trio pack their bags and head stateside for a 25-date tour supporting label mate Ellie Goulding. There are over 40 live dates before 2016 comes to a close and European festival goers will be able to catch the band at Parklife, Bestival, Sundown, Rock Werchter and Sziget. The new version of Desire – featuring Tove Lo, another Polydor label mate - is soaring high on radio and is currently on the Radio 1 A-list, Radio 2 B-list and Kiss and Capital daytime lists. Its provocative video has been watched over 11 million times in little over a month and has prompted applause from the LGBT community. 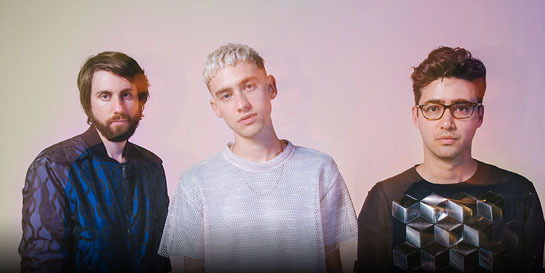 Globally, Years & Years’ debut album Communion has sold nearly 1.2 million copies, going platinum on UK shores. The band’s singles have sold over 2.5 million, with Desire tipping the scales at more than 300,000.